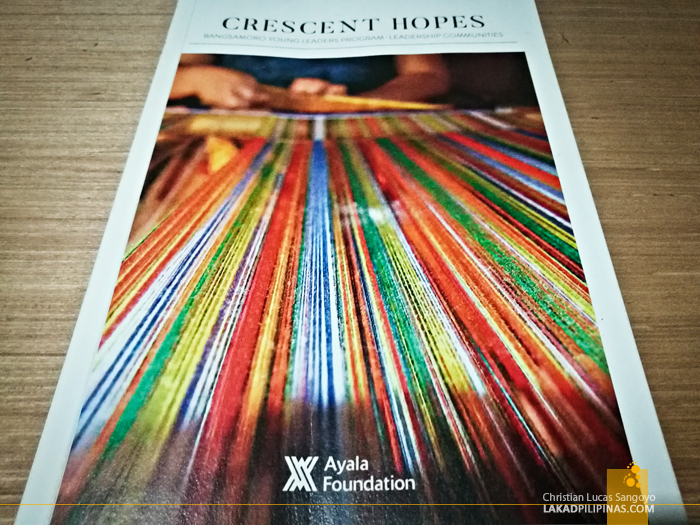 Two of my photos recently appeared on Crescent Hopes, a small book published by the Ayala Foundation. 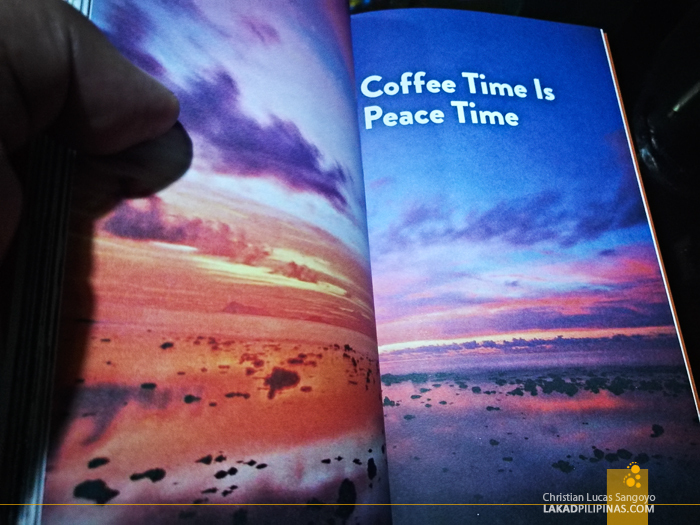 The book delves in detail about the Bangsamoro Young Leaders Program- Leadership Communities which aim to uplift the lives of the people of ARMM by recruiting young people to enact sustainable programs. It tracks the progress of the first batch of fellows chosen by the foundation who spearheaded projects in the five provinces of ARMM and the changes they have imparted in their communities. From the Yakan weaving and dried fish processing in Basilan, crab farming and Inaul weaving in Maguindanao, a boat project that ferries students and transports fishes in Tawi-Tawi, coffee farming in Sulu, and marketing the palapa condiments in Lanao Del sur. 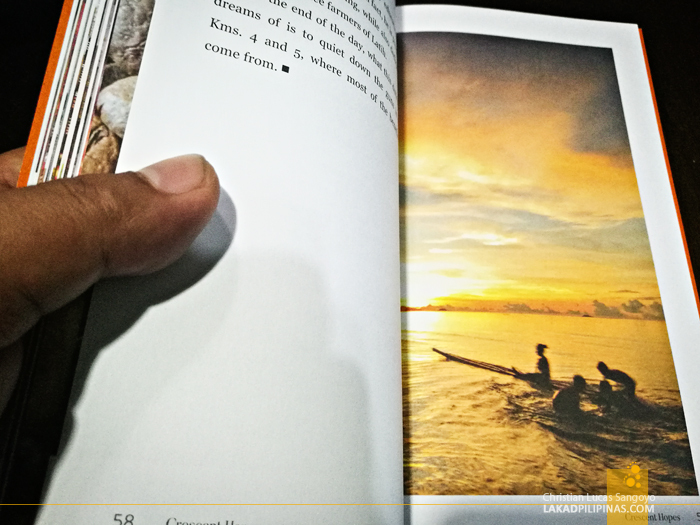 My photos appeared on the Sulu chapter, first a spread featuring my first sunset at the Marine camp in Patikul at and the second one, another sunset photo of kids rowing a raft on Sulu’s Quezon Beach. Both of these were taken during my foray to Sulu as part of the Juan Portrait project several years back—one of my most nerve-wracking trips ever.